Party rental Mason jar glasses. Great for events, weddings, parties and other special occasions. Perfect with its rustic feel for lemonades, ice teas and root beer floats. Glass Mason jars have a handle and hold 16 oz. 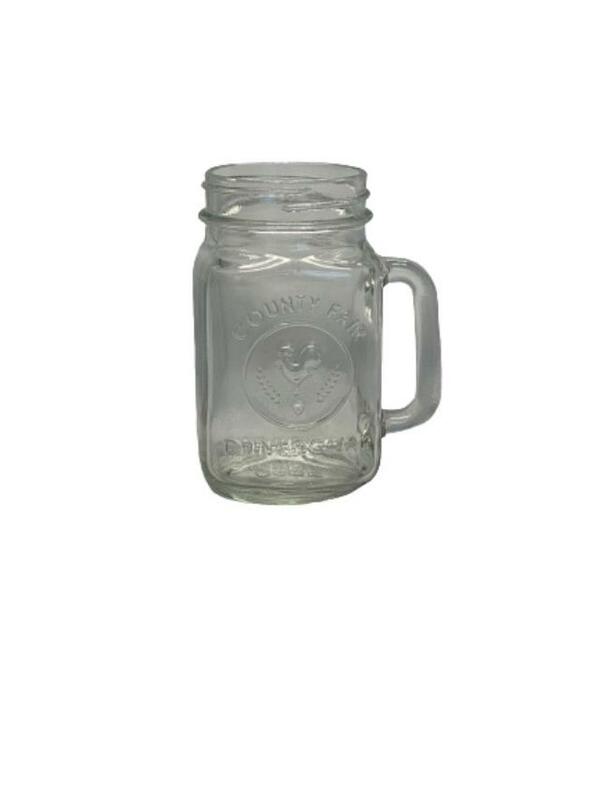 * Please call us for any questions on our glass mason jar 16 oz rentals in Kent WA, serving the Greater Puget Sound area.